The capitalist can protect himself, but the wage earner is practically defenseless. Since the birth of the United States, for many Americans, overcoming and breaking down institutional subordination barriers has been the story of American democracy. Granted more formidable have been the obstacles placed before nonwhites, still, the historical commonality experienced by each new wave of immigrants, in part, probably explains the common bond of empathy that unites people of like mind, though they be different in so many ways. A case in point has been the organizing labor movement. Before the development of labor unions employees had almost no voice in determining their wages, hours, or working conditions. If there was an abundance of job-seeking workers available employers could easily replace employees not performing to their satisfaction as well as to those threatening to quit. Hence, the competition for jobs forced laborers to toil under almost any condition. From the beginning, employees found that to tip the imbalance scale to a more equitable level when dealing with their work related problems they had to form a union. The underlying assumption was that collectively as a group they would be able to enhance their bargaining power. And, whenever the symptom of discontent was deep and widespread, workers then took to strike as a last resort. But in the nascent stage of the formation of unions the onrush of heavy opposition from employers, who refused to recognize unions as the representatives of employees, and from the courts regarding the attempts at collective bargaining as illegal, necessitated the development of a greater labor movement, beyond the individual union, to bring to bear the aspirations of the workers before the table of mutual benefit. This began to develop at sunrise in the midst of the expanding Age of Industrialism. Though having benefitted from the tide organized labor had not yet become an integral part of the social reform movement. This changed during an accentuation of the business cycle, an interval markedly deep. The Great Depression proved to be the turning point in the organized labor movement. As the nation attempted to cope with the enormity of the depression organized labor became a major force, a participant, and a key player in helping to bring about a slew of political activities and legislation in the nation’s effort to come to grips with the woes of the country. In some respect, the new found political power was recognition of a segment of the populace bringing to the stage the principle of fairness(4) while seeking and advancing solutions to unemployment related concerns. The labor movement’s moment in time had now arrived. In attempting to restore the nation’s economy, two broad approaches had been developed: one for industry, the other for agriculture. Industry-wise the organized labor/liberal members of Congress and moderate Republicans were responsive to the demands and influence of organized labor. Not so in agriculture which was devoid of any provisions for labor. Sec. 7. (a) Every code of fair competition, agreement, and license approved, prescribed, or issued under this title shall contain the following conditions: (1) That employees shall have the right to organize and bargain collectively through representatives of their own choosing, and shall be free from the interference restraint, or coercion of employers of labor, or their agents, in the designation of such representatives or in self-organization or in other concerted activities for the purpose of collective bargaining or other mutual and or protection. (2) That no employee and not one seeking employment shall be required as a condition of employment to join any company union or to refrain from joining, organizing, or assisting a labor organization of his own choosing, and (3) That employers shall comply with the maximum hours of labor, minimum rates of pay, and other conditions of employment, approved or prescribed by the President. Sec. 2(3) The term “employee” shall include any employee, and shall not be limited to the employees of a particular employer, unless the Act [this subchapter] explicitly states otherwise, and shall include any individual whose work has ceased as a consequence of, or in connection with, any current labor dispute or because of any unfair labor practice and who has not obtained any other regular and substantially equivalent employment, but shall not include any individual employed as an agricultural laborer, or in the domestic service of any family or person at his home, or any individual employed by his parent or spouse, or any individual having the status of an independent contractor, or any individual employed as a supervisor, or any individual employed by an employer subject to the Railway Labor Act [45 U.S.C. §151 et. seq.] as amended from time to time, or by any other person who is not an employer as herein defined. Consider also the extent of unionization among agricultural workers was in effect weak, ineffective, and without contact with labor representation by organized labor. (19) The perspective in this regard is a testament to the attitude of organized labor, particularly the crafts unions of the AFL. Many union organizers were under the jurisdiction of numerous craft unions that, in keeping with the principles that had led to the original success of the AFL, had little interest in organizing the growing number of industrial workers. (20) Has in the past, they continued to reject the idea of organizing workers into industrial unions. Their attitude was even more negative towards the unskilled, migratory, racial and ethnic minorities. Geopolitically, the republic nature of American democracy had made it impossible for national legislation to occur on behalf of the agricultural field workers on a nationwide basis. The leverage to affect the levers of the policy planning-decision making apparatus of government would have to take place potentially within a very limited number of states and territories in which the politicos see it in their self-interest to ameliorate the impact of the Wagner Act as it relates to agricultural workers. Not having the legal “right to organize and to bargain collectively through representatives of their own choosing” has been the fundamental problem—the heart of the matter. The bane of Filipino and American Filipinos and other employees, Section 2(3) underscores that exclusion from federal labor relations law. Still, upon closer examination there appeared an implied escape from the iron-clad grip of denial. Away from the preview of the NLRA lay the option to each individual state or territory. Henceforth, in whatever way they could, the quest of the agricultural labor organizing movement would be to behold the “holy grail” denied them. The next three decades from 1935 would make clear a farm workers organization, even if fully supported by all of labor, cannot succeed outside the context of a larger societal movement. It would take another social movement, one deeper and more universal in its commitment, with a strategy surgical in nature for an organization of agricultural field workers to pry-open the window of opportunity. As with the social reform movement that left giant footprints during the Great Depression, the agricultural field workers organizing efforts must also be part and parcel of a larger and wider societal movement, at least in its inception, to have a chance of succeeding in the United States. An exception, due to a monumental cataclysmic event, would occur a decade later in a territory of the country. Whereas World War II impeded progress in the agricultural workers organizing movement stateside, its impact would prove to be to the benefit of the plantation workers. The vision materialized in The Territory of Hawaii with its Employment Relations Act of 21 May 1945. Stateside, from the expiration of Public Law 78 sprang forth a clarion call that would last a decade. In then the fifth largest economy in the world, after forty years of struggle, exodus from the arid shackles of entrapment finally took place with the California Agricultural Labor Relations Act of 5 June 1975. With the C change, labor’s organizing movement came to fruition in the Golden State. Today, over three-quarters of a century since 5 July 1935, and still, only two members of the United States can boast of a “little NLRA.” But, in those two states Jean-François Millet’s L’homme à la houe no longer is bent over and thirsty but with san gréal to quench the thirst long denied. In the trilogy of Hawaii, Washington-Alaska, and California, inspirational and by example, Americans of Philippine heritage have been embedded in participatory democracy. They, as with all immigrants, have invested their struggle in their new country with their sweat and blood. In so doing they too have brought closer to more people the true meaning of American democracy. In their journey credence to the Declaration of Independence and the Constitution advances. In remembrance of labor’s struggle and that of Americans with a Philippine heritage for legitimacy and full acceptance, The New Castle for the 21st century strives for accuracy in pursuit of the truth, thereby contributing in the process to making the future a better world. (1) Alyn Brodsky, Grover Cleveland: A Study in Character, 1st ed., illus. (New York: St. Martin’s Press, 2000), 166. (2) David J. Saposs, “Part I: Colonial and Federal Beginnings (to 1827),” in John Rogers Commons, David Joseph Saposs, et al., History of Labour in the United States, with an introduction note by Henry W. Farnam (New York: The Macmillan Co., 1921), 25. (3) Sherman Act (2 July 1890), ch. 647, 26 Stat. 209, 15 U.S.C. §§ 1-7; Clayton Act (15 Oct. 1914), Pub. L. 63-212, ch. 323, 38 Stat. 730, 15 U.S.C. §§ 12-27, 29 U.S.C. §§ 52-53; Adamson Act (3, 5 Sept. 1916), Pub. L. 64-252, ch. 436, 39 Stat. 721, 45 U.S.C. § 65 et seq. (4) “June 28, 1934: Answering the Critics,” in FDR’s Fireside Chats, edited by Russell D. Buhite and David W. Levy (Norman: Univ. of Oklahoma Press, 1992), 48. 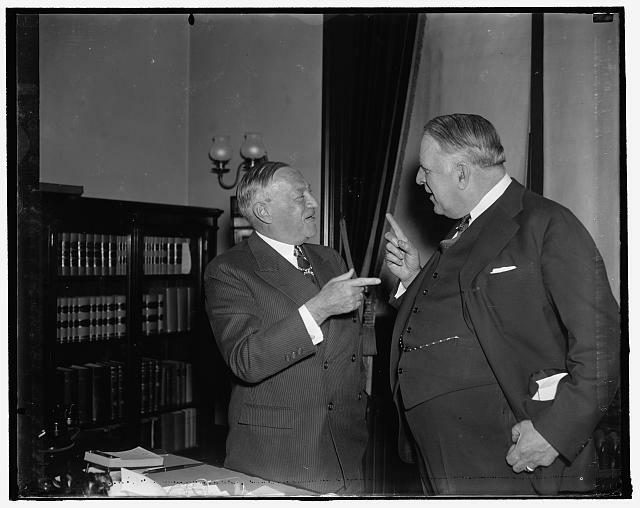 (5) Norris-LaGuardia Act [Anti-Injunction Bill] (23 March 1932), Pub. L. 72-65, ch. 90, 47 Stat. 70. (6) The National Industrial Recovery Act (16 June 1933), Pub. L. 73-67, ch. 90, 48 Stat. 195, 15 U.S.C. § 703. (7) Section 7(a) of the NIRA (as drafted by Gen. Hugh Johnson, an administrator under FDR, per the urging of William Green, president of the AFL) in Art Preis, Labor’s Great Step: The First Twenty Years of the CIO: 1936 – 1953 (New York: Pathfinder Press, 1992), 12. (8) Adam Cohen, Nothing to Fear: FDR’’s Inner Circle and the Hundred Days that Created Modern America (New York: Penguin Grp., 2009), 240. (9) U.S., Cong., Senate, Subcommittee of Committee on Education and Labor: “The Supply of Agricultural Labor as a Factor in the Evolution of Farm Organization in California,” by Varden Fuller, Pt. 54: Agricultural Labor in California—San Joaquin Valley Cotton Strike, 1933; Labor Conditions in the Imperial Valley, and Wheatland Hop-field Riot of 1913. 76th Cong., 2d sess. 1939, pursuant to Senate Resolution 255, 74th Cong. (Washington: GPO, 1940), 19948. (10) G. Domhoff and Michael J. Webber, Class and Power in the New Deal: Corporate Moderates, Southern Democrats, and the Liberal-Labor Coalition (Stanford: Stanford Univ. Press, 2011), 106, 115. (11) A.L.A. Schecter Poultry Corp. v. United States, 295 U.S. 495 (27 May 1935); Domhoff, Ibid., 115, 120, 126. (13) Austin P. Morris, Agricultural Labor and National Labor Legislation, 54 Cal. L. Review 1939 (1966). (14) Michael J. Webber, New Deal Fat Cats: Business, Labor … (New York: Fordham Univ. Press, 2000), 132. (15) National Labor Relations Act, a.k.a. Wagner Act (5 July 1935), Pub. L. 74-198, ch. 372, 49 Stat. 449, 29 U.S.C. §§ 151-169: to Diminish the Causes of Labor Disputes Burdening or Obstructing Interstate and Foreign Commerce, to Create a National Labor Relations Board and for Other Purposes (long title). (16) Devra Weber, Dark Sweat, White Gold: California Farm Workers, Cotton, and the New Deal (Berkeley: Univ. of California Press, 1994), 123. (17) NLRA, Section 1. [§151.]. (18) Frances Perkins, The Roosevelt I Know (New York: Viking Press, 1946), 199 – 200. (21) Social Security Act (14 August 1935), Pub. L. 74-271, , ch. 531, 49 Stat. 620; Fair Labor Standards Act [Wages and Hours Bill] (25 June 1938), Pub. 75-718, ch. 676, 52 Stat. 1060. 29 U.S.C. ch. 8. 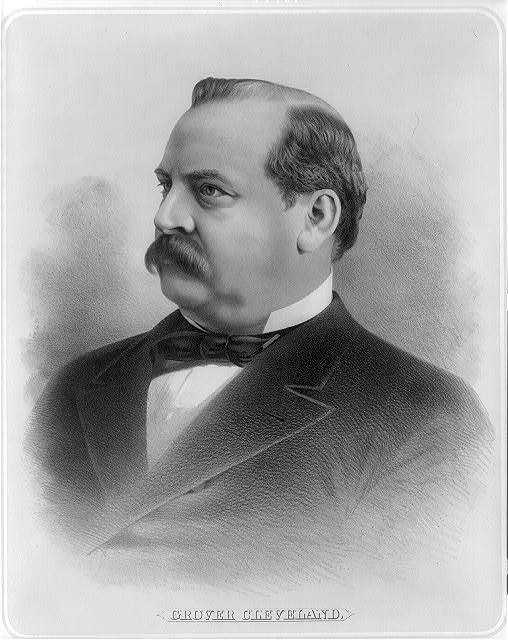 Library of Congress: Robert F. Wagner and William Patrick Connery, Jr.